As realtors, we often hear that organizing bedroom closets before selling the home is always the most frustrating. After years of collecting industry knowledge and tips from other home owners, here’s our complete list of storage solutions. A customized closet should be designed and organized to fit your lifestyle and the way you think. 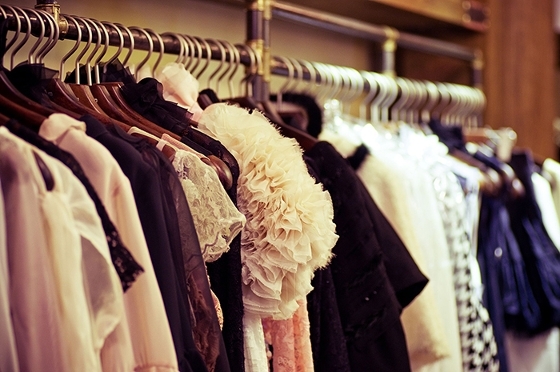 Your regular old closet isn’t working for you because it wasn’t designed for you. Is it only your clothes? If it’s only your clothes in the closet, then you can incorporate all the space to create a master closet. Otherwise, you want to plan out your space in the closet, as a custom closet can and should take in the needs of both the people. Decide if you want your clothes hanging from hangers, or if you’d prefer to see your clothes folded and stacked in smart storage. It will determine how your closet looks most of all. Put the bars in the closet higher up for taller people, or shorter down for smaller. This will keep things in reach, without having them tangle together. Actively count how many garments you plan on keeping in your closet, it can help you plan how much space you’ll need (for hanging). A foot of hanging bar can hold about 10 dresses, or 5-6 suits. Do you prefer hidden storage or open storage? Some people prefer for clothing to be in drawers with doors that close, while others like the easy access of open storage. Decide this before buying shelving. Whether its purses, sweaters, jackets or sunglasses, your new custom closet needs to accommodate these important items. Create unique storage solutions for your favorites. Shoes normally end up thrown around in a pile, when they could be proudly displayed. Are you more likely to hang them off a door, kick them into sliding storage, or stash them on overhead shelving? Now that you know how you want to organize your closet just for you, it’s a good time to go and check your closet and make some adjustments. Unlock the power of your closet today, and take back your storage!